Whew. The whirlwind of the past few months has settled down, and as we approach the Ides of May (not a thing, I know), it’s time to breathe once again. In the last three weeks, I coordinated a large event for work, got to see Joseph graudate (AHHHHHH! ), helped lead a service trip to Clarkston, Georgia, to work with newly resettled refugees, and took a road trip with Joseph from Atlanta to New York. As delightful as all of that was… breathing. Breathing now. Breathing is good. 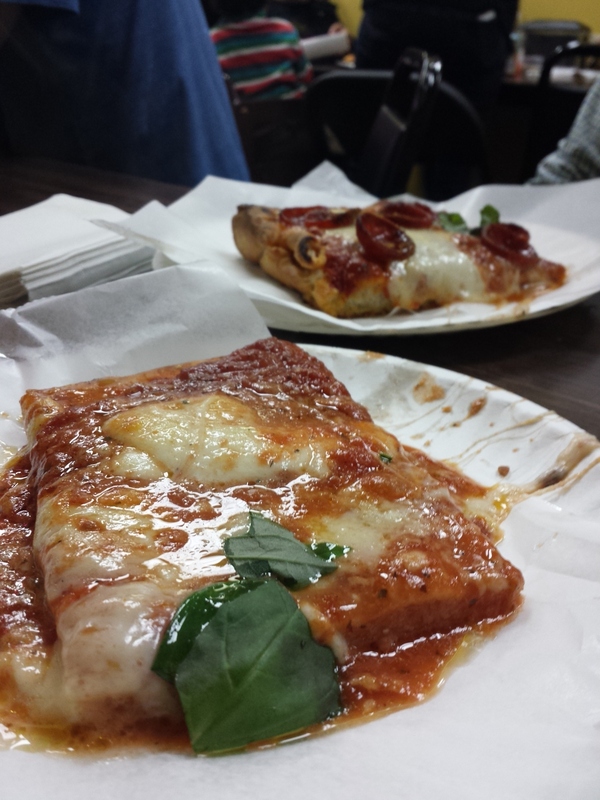 The best pizza outside of Italy, they say, is found at tiny Di Fara Pizza in Brooklyn. It did not disappoint. 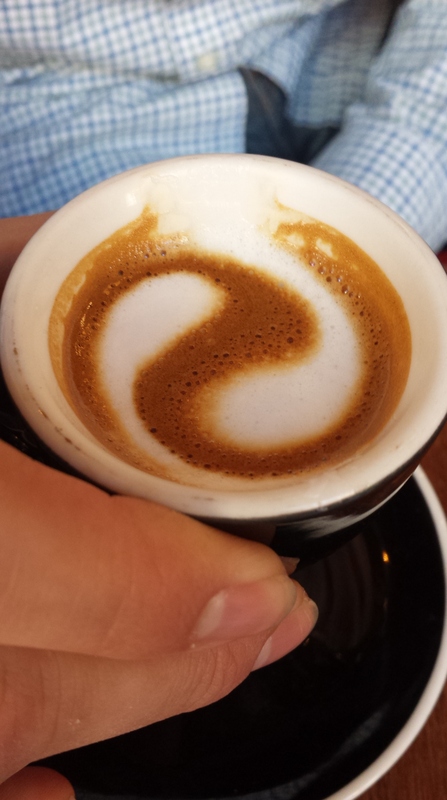 This triple ristretto macchiato from Jack’s Stir Brew coffee in South Street Seaport (lower Manhattan) was all Joe hoped it would be. 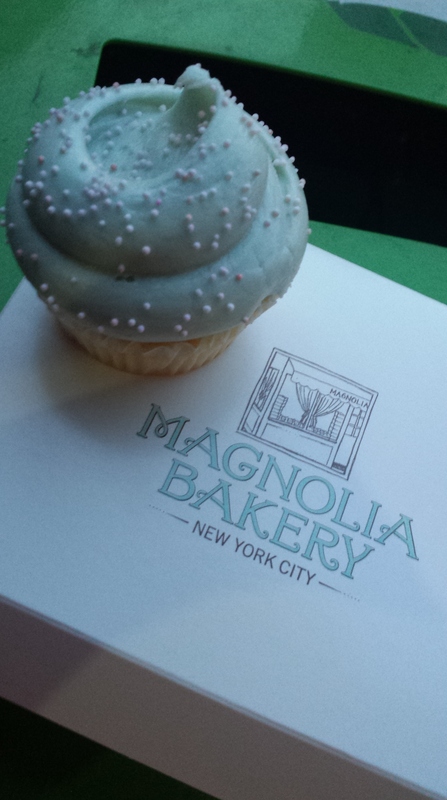 The famed Magnolia Bakery’s vanilla buttercream cupcake. Yes, I set it on a garbage can to take a picture. Settle down. 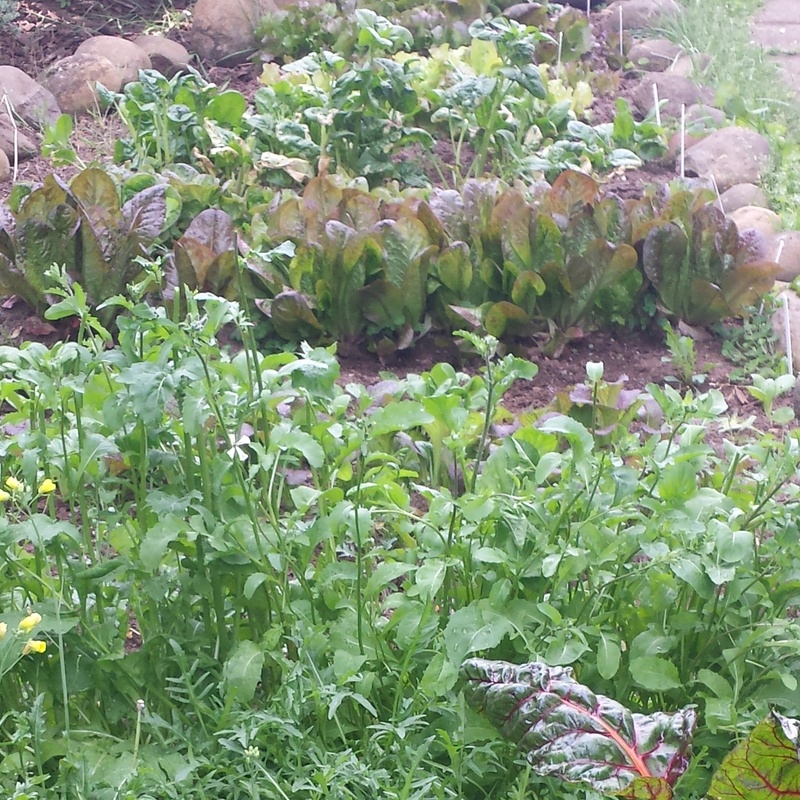 As wonderful as the trip was, it was even more wonderful to arrive home to a garden that had flourished in our absence (thank you, housesitting brother and sister-in-law)! 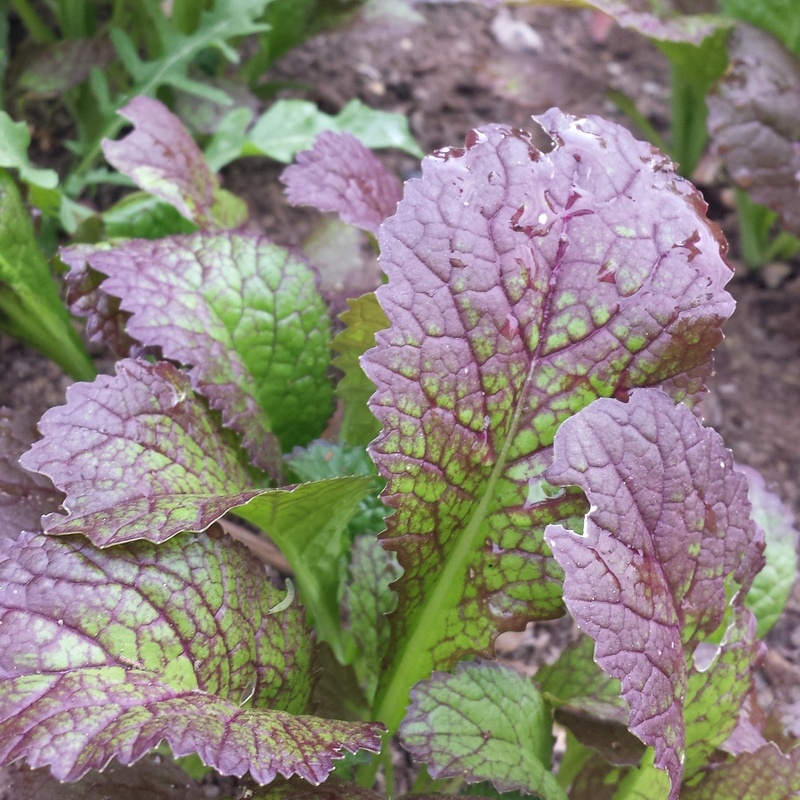 Red giant mustard greens, my favorite variety to grow and braise with French lentils and sausage from the Russian sausage…smith… down the street. 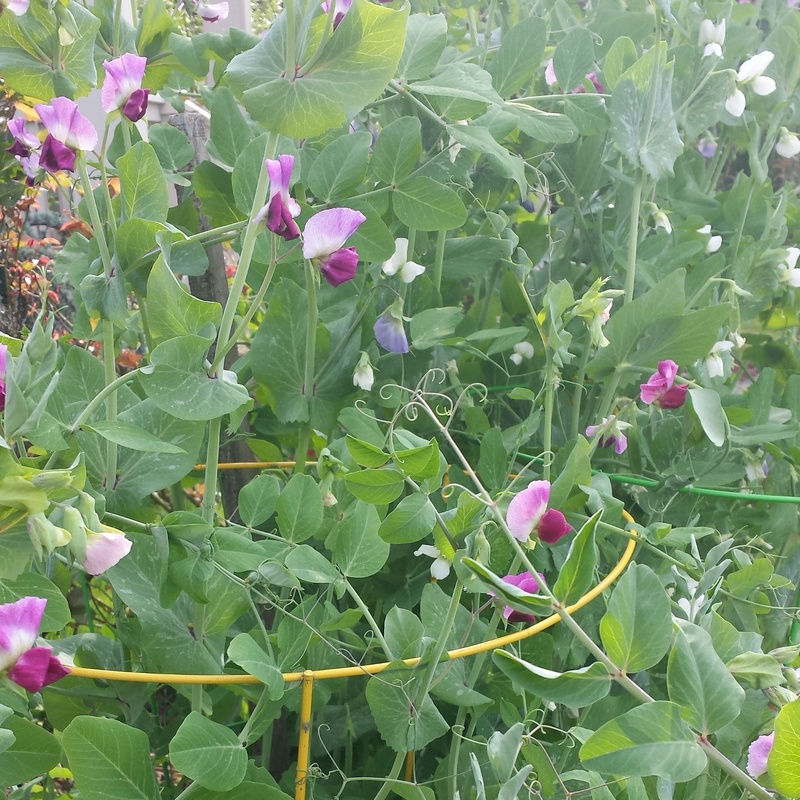 Beautiful pea vines. I can’t get over them. 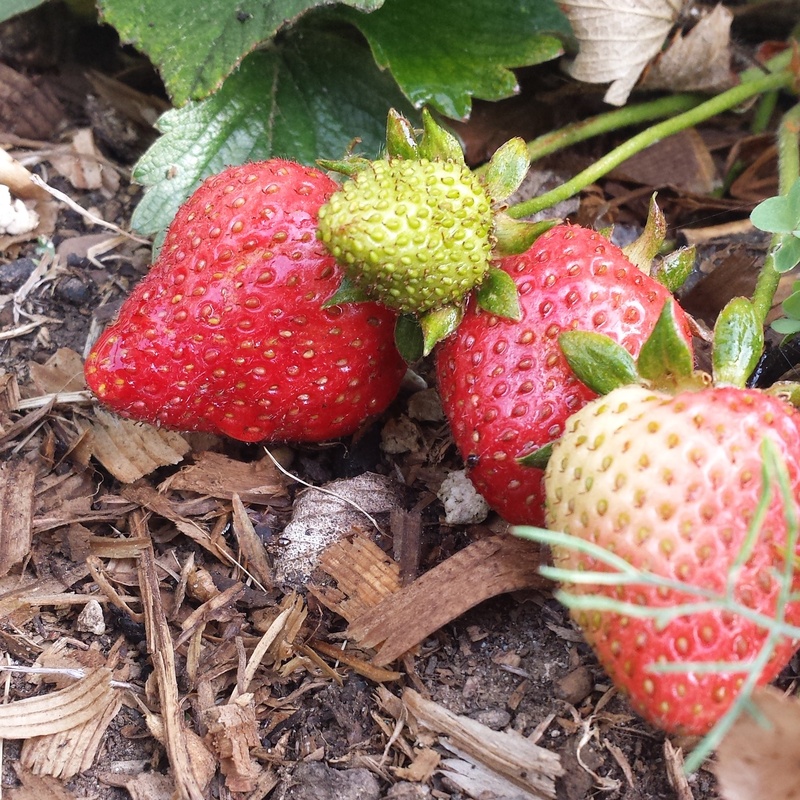 The strawberry patch we started last year is taking off, slowly but surely. I enjoyed our first meal at home so much, I want to share it with you. There’s nothing like a good meal plucked straight from the garden and mixed together by your own hands – especially after two-plus weeks of dining out. 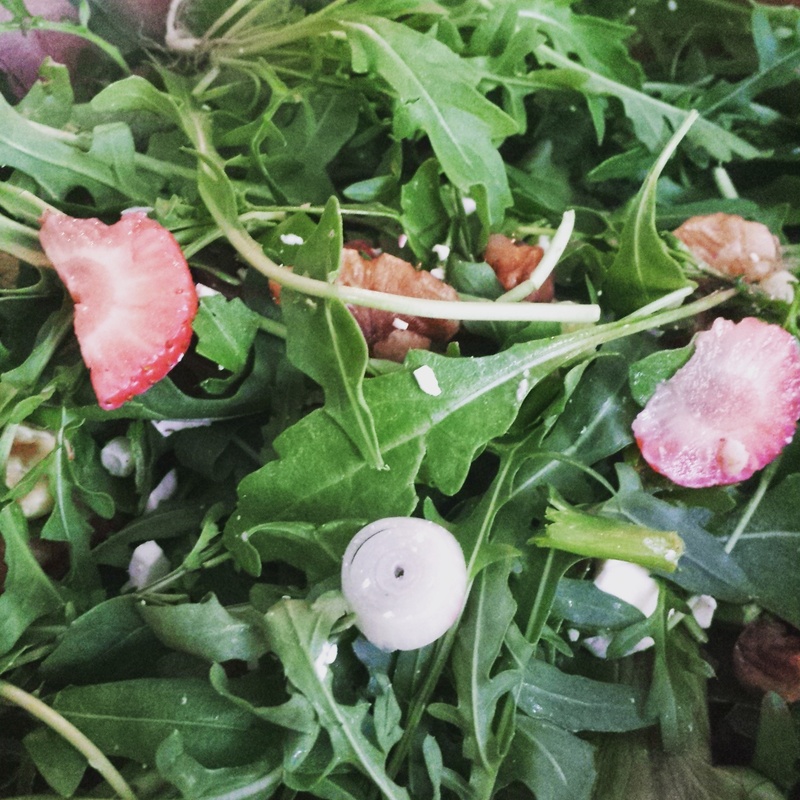 For this iteration of arugula salad, I picked and cleaned a bowlful of arugula, a handful of fresh snap peas, two spring onions and two big ol’ strawberries – the first of the year. 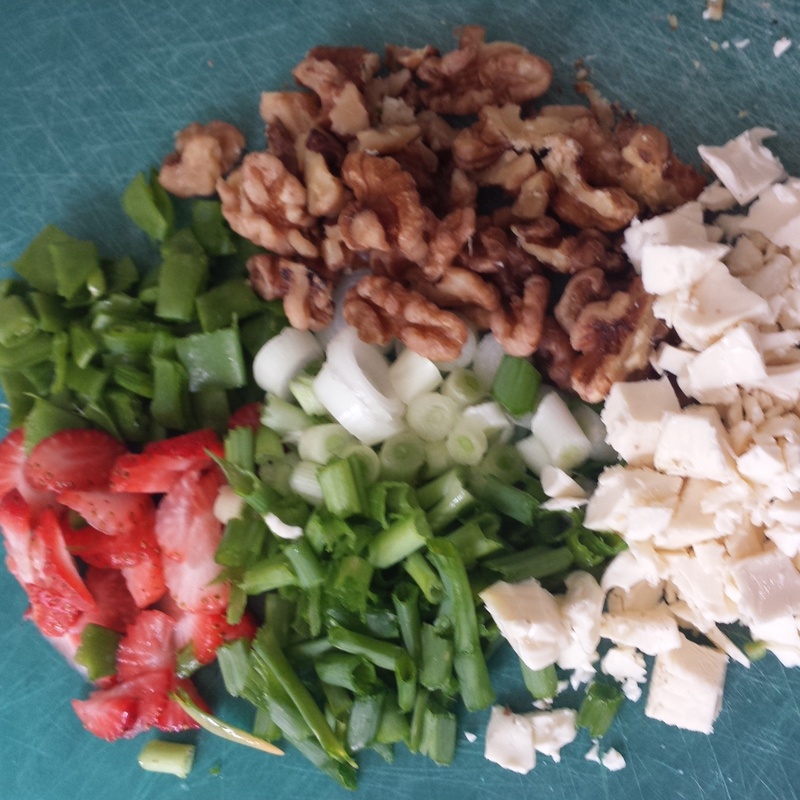 Tossed with about 1/2 C. chopped, toasted walnuts and about 3 T. diced Brie (or really, whatever other proteins you have around), this works very well with just a bit of olive oil and sherry vinegar. Balsamic would do the trick, too. 13 May	This entry was published on May 13, 2015 at 7:33 pm and is filed under Collection. Bookmark the permalink. Follow any comments here with the RSS feed for this post.